General Mobile Radio Service (GMRS) is a land-mobile UHF radio service in the United States, near 462 and 467 MHz. GMRS shares the same frequencies with the Family Radio Service (FRS), however output power is limited to 0.5 or 2 watts on FRS, depending on the channel. A license is required to operate on the GMRS band, and the licensee is allowed up to 5 or 50 watts of output power (also depending on the channel). 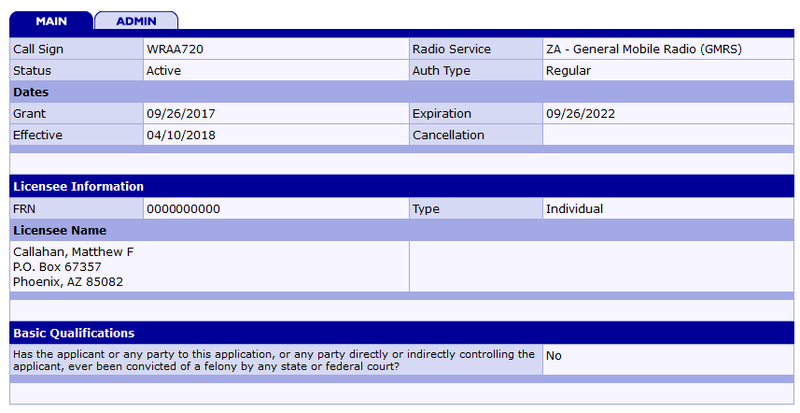 A GMRS license also grants permission to operate on the repeater input frequencies. Both the increased output power and the repeater access granted by a GMRS license can dramatically increase the effective range a GMRS radio has over a FRS radio. Because they share the same frequencies, GMRS radios are allowed to communicate with FRS radios via simplex. 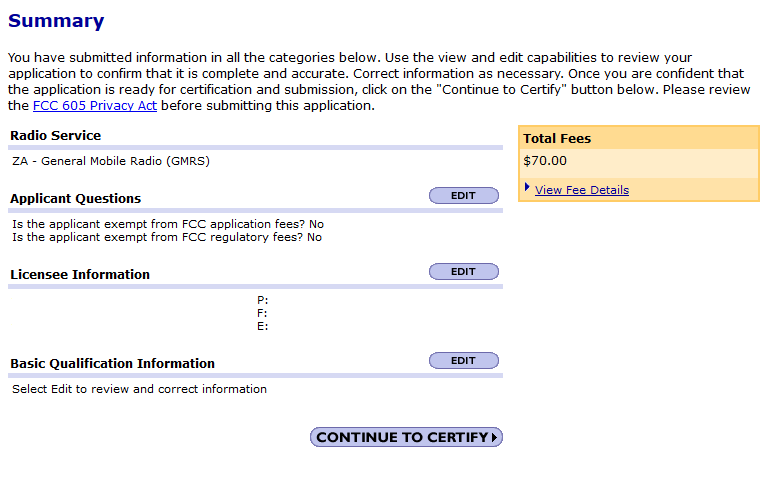 To obtain a GMRS license and call sign, you must file an application with the FCC and pay a $70 fee. No exam is required, and the license is valid for 10 years. 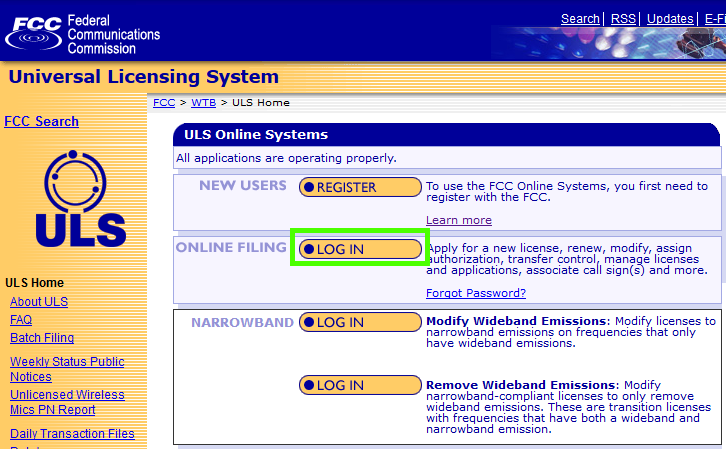 The FCC’s Universal Licensing System (ULS) is is an online portal to manage your FCC applications/licenses, and pay any applicable fees via a single account. The ULS eliminates the need for paper applications and submitting via snail mail. 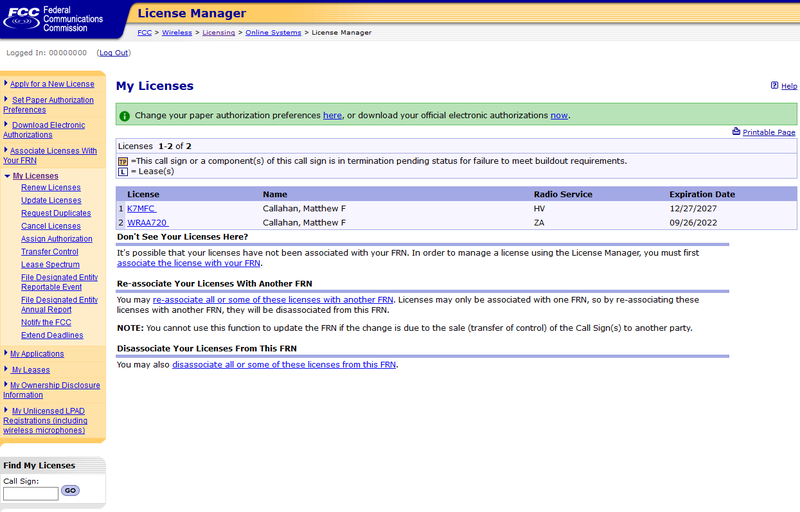 You may also view the status of pending licenses in the ULS. Once registered with the ULS, you will receive an FCC Registration Number (FRN). This is a 10-digit number that is assigned to a business or individual registering with the FCC, and is used to identify the registrant’s business dealings with the FCC. Save this ID number! 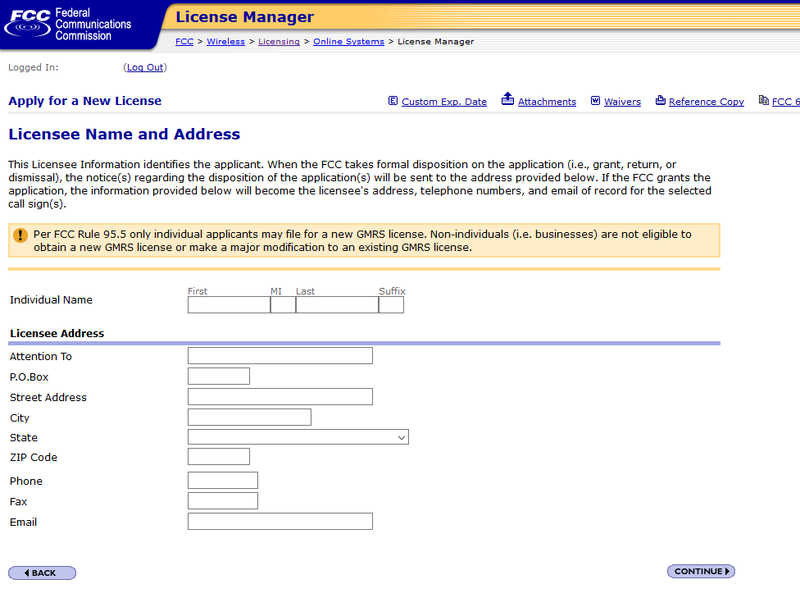 It will be your user name to log in to the Universal Licensing System. WRAA720 uses this P.O. Box address in the center of their local metro area as the primary contact location for all FCC forms and dealings. 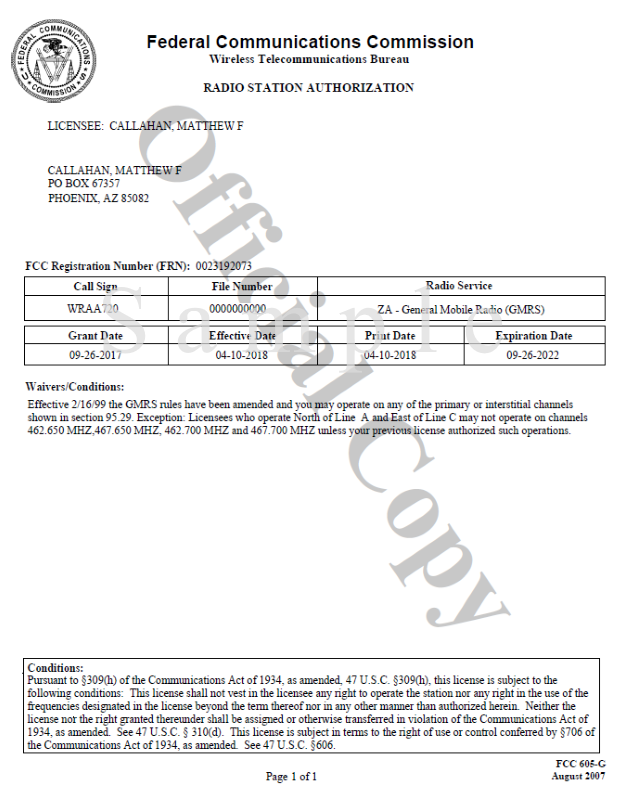 WRAA720's actual home address is not associated with any of their FCC licenses and will not be found in any FCC databases, or in other databases that use FCC data such as QRZ.com. After creating the account, or if you have an existing ULS account, log in here. 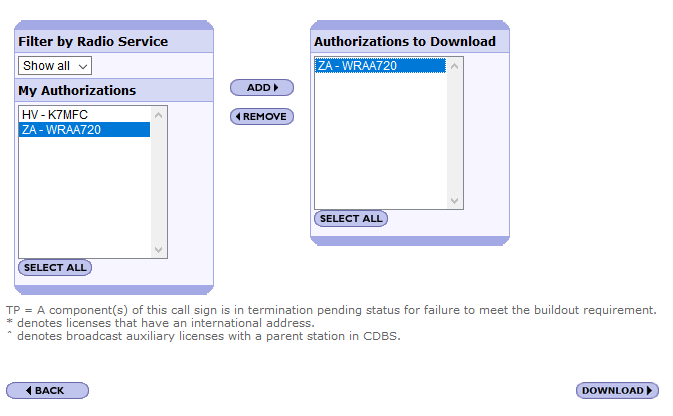 On the next screen, select “ZA-General Mobile Radio Service” from the very bottom of the drop down menu and click Continue. 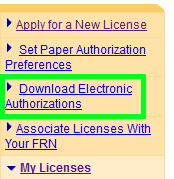 When you submit the application, you will be prompted to complete payment. After that, all you can do is wait! 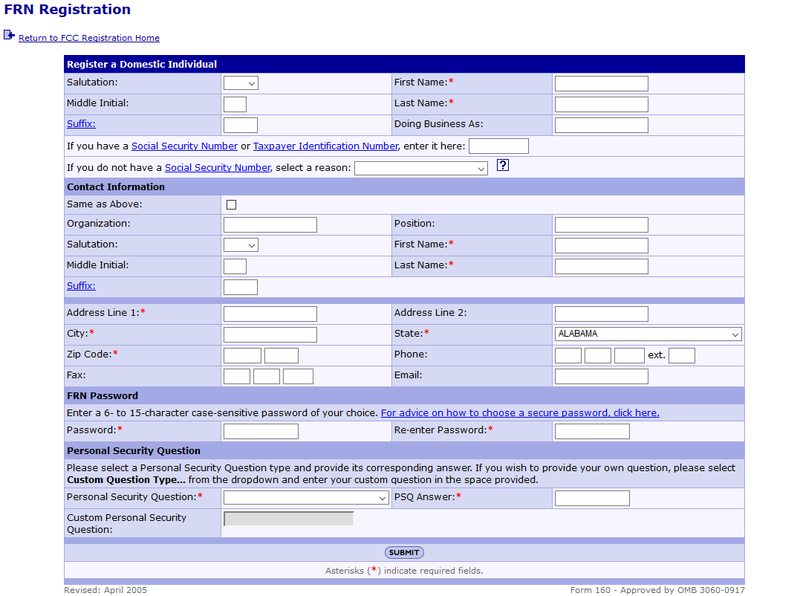 Applications will appear in ULS Application Search in about one or two businesses days after the application is filed. If you made an error in the application – don’t worry! You can file an amendment to the application. 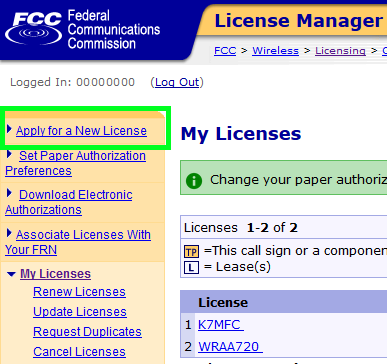 See the Applying for a New License in the Universal Licensing System FAQ for more information about the application process for FCC licenses.